The Kaga/Hakusan area in the Hokuriku region in south-western Ishikawa Prefecture is blessed with grand nature and natural hot springs. The Kaga Onsen-kyo hot spring resort, which includes Yamashiro, Yamanaka, Katayamazu, and Awazu, is surrounded by picturesque views of the coast to the majestic Mt. 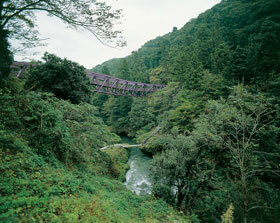 Haku (Hakusan). Kutaniyaki, a Japanese ceramic ware that flourished in the beginning of the Edo era (1603-1867) and is still prominent today, has its origins at Yamanaka Onsen. Each Kaga’s tourist site is easily accessible from JR Kaga Onsen Station which is about 1 hour 45 minutes from Kyoto or 2 hour 30 minutes from Osaka by limited express. 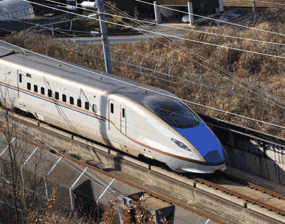 Most Japanese hotels in Kaga Onsen offer free transfer from JR Kaga Onsen Station. Kutaniyaki glazes incorporate five vibrant colors – greens, yellows, purples, reds and blues – in bold designs that define its unique characteristics. The special techniques used to produce Kutaniyaki ceramic ware and Yamanaka lacquerware were developed in the same era and both are well-known for their historical value. This area is also famous for foods from the mountains and the sea and attracts many people. Onsen (Hot Springs)Kaga Onsen-kyo is home to many of Japan’s prominent hot springs. 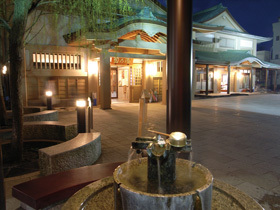 There is a variety of small but unique inns and hotels in the hot spring town at the foot of Mt. Haku (Hakusan). 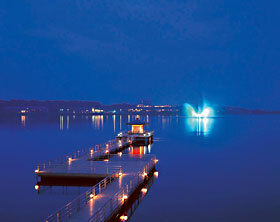 The true “hot spring experience” can be fully enjoyed in this area. Beautiful seasonal nature, ceramic ware, lacquerware and many other things unique to this area can be found here. 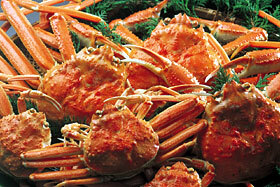 Enjoy abundant fresh food from the sea and the mountains, traditional local foods, and many other delightful dishes! 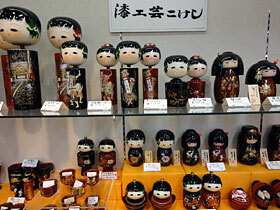 Various items – traditional art works, popular character goods and other beauty items, to name but a few – are introduced. Enjoy climbing, cycling, paragliding, golfing, skiing and other sports in a grand natural setting. 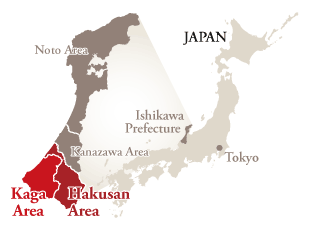 For access to Kaga/Hakusan, check this page. 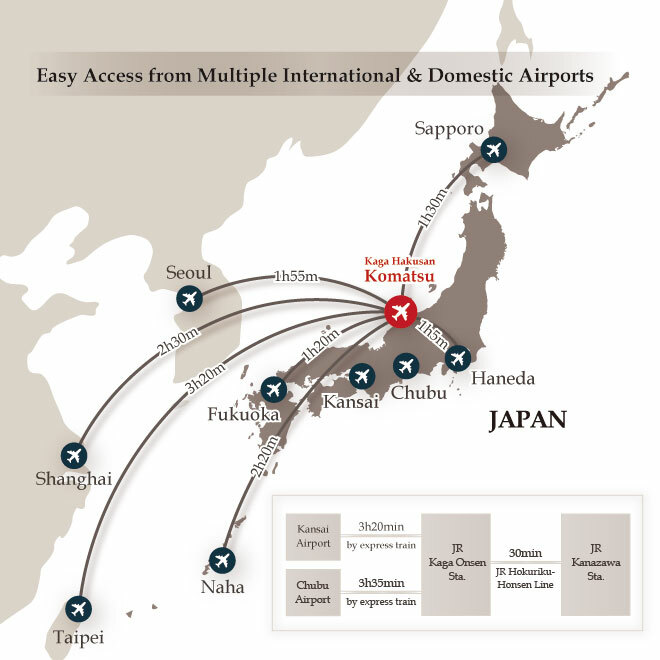 It is very easy to get there from Komatsu Airport and Kanazawa.